Classical Academic Press is a leading name in the classical method of home education, offering resources covering languages, logic, and Bible study. The Teacher’s Edition is available separately for $24.95. It includes the entire student text as well as answer keys, teacher’s tips, and fun ideas for interactive classroom activities. 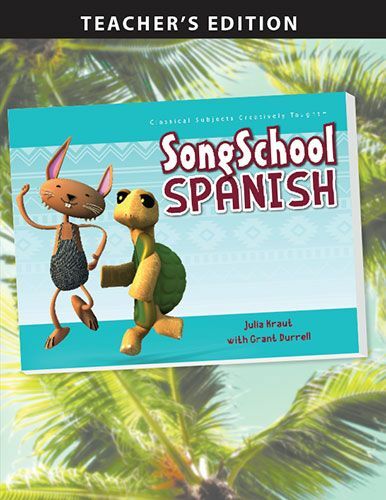 It also includes over forty pages of additional activities and worksheets for advanced students or those who simply want more Spanish study. 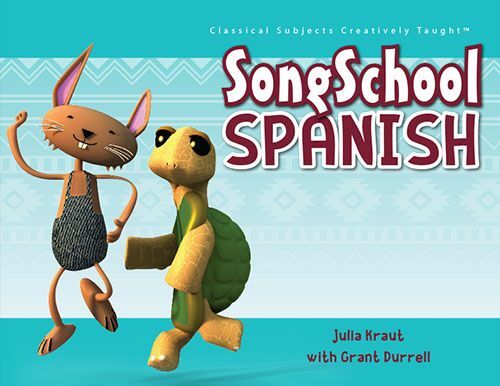 The website features samples of chapters, the Teacher’s Edition, and some of the songs to preview. You can even download a pronunciation guide and bonus songs. 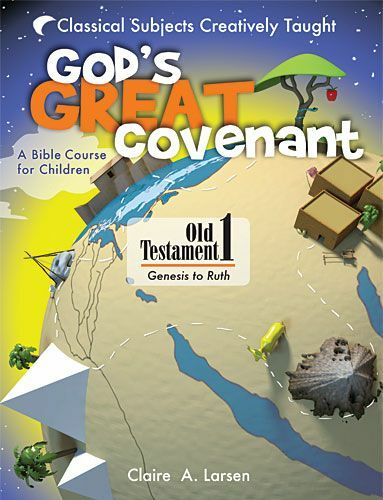 God’s Great Covenant Book 1, ($22.95) which begins with Genesis and covers through the book of Ruth. It is divided into five units (themes) to help children grades 3-6 grasp the bigger concepts being taught in these first books of the Bible. The five themes are God’s Promises, God’s Power, God’s Redemption, God’s Provision, and God’s Faithfulness. It is told in a narrative style so that children are engaged by the stories, yet clearly see God’s unfolding plan that ultimately leads to Jesus. Using charts, memory verses, and quizzes, students can complete a chapter per week for 32 weeks. The Teacher’s Edition ($24.95) includes more details to expand on the historical, geographical, and societal context of the Old Testament. The mp3 audio files are available for $9.95. A sample weekly schedule and sample chapter are available on the website. God’s Great Covenant Book 2 ($22.95) picks up where Book 1 ended and continues in the same format and style. It covers 1 Samuel through Malachi. The five themes in Book 2 are: The God Who Anoints, The God Who Blesses, The God Who Reigns, The God Who Judges, and The God Who Restores. The Teacher’s Edition is $24.95 and the mp3 files are $9.95. You can find a sample chapter, a sample from the Teacher’s Edition, the weekly schedule, and sample mp3 on the website.